I was really busy lately…now I deserve some soul food! Yummy!! Preheat oven to 180 °C. Mix streusel ingredients with the fingers to form streusels. Mix all other ingredients, dry first then add wet, until a homogenous batter forms. 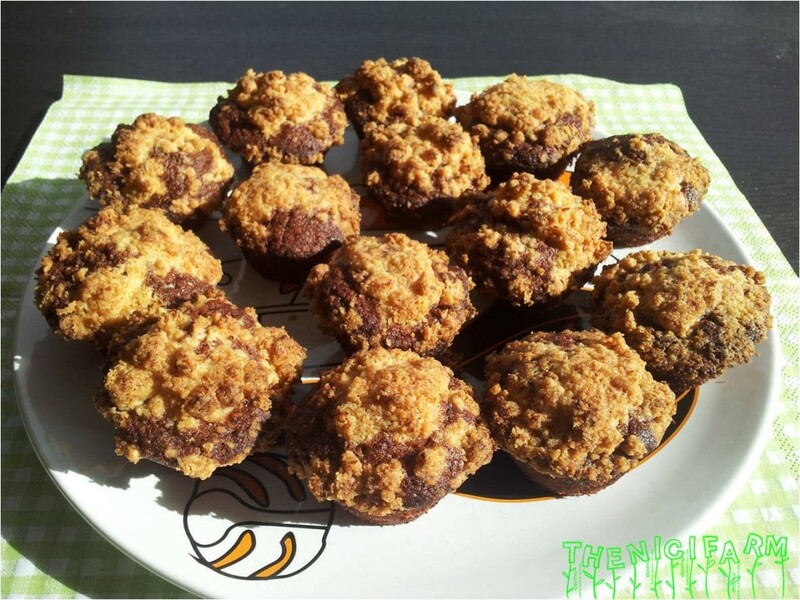 Fill into oiled muffin forms, sprinkle with streusels and bake for 20-25 minutes. This entry was posted in Desserts, Yummy for my tummy and tagged desert, vegan.